I guess I have been in a rainbow state of mind lately and I’d like to share some craft projects I’ve done over the past couple of weeks. 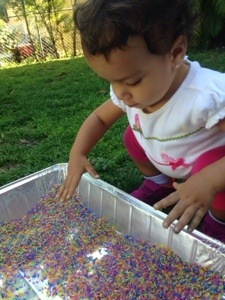 For the most part I try to stick to projects that both my girls can have a hand in (19 months & 3.5 yrs). Starting with St. Patricks day, I downloaded a really cute and free printable from here. 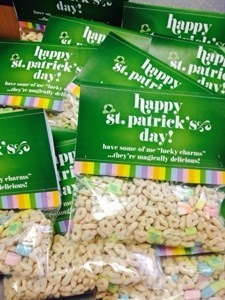 Gia helped me put “Lucky Charms” cereal into snack-sized plastic baggies. Then I printed out the paper ‘topper’, cut it down to size (this part was done easily at my local Kinkos), and finally stapled them together. 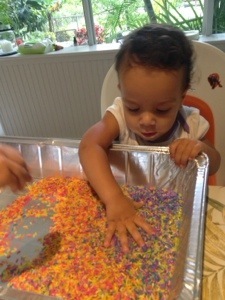 Her classmates loved this little treat. 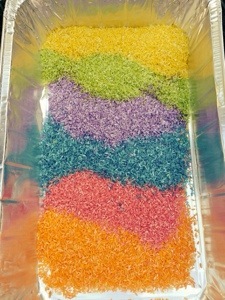 Then, the girls and I had fun separating colorful cereal and using it to build our very own rainbow! 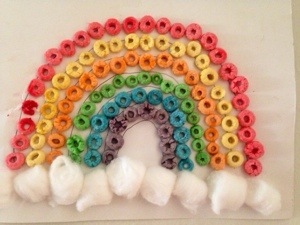 Yes, a few were eaten along the way 🙂 Of course, the rainbow wasn’t complete until we added a few cotton ball clouds. 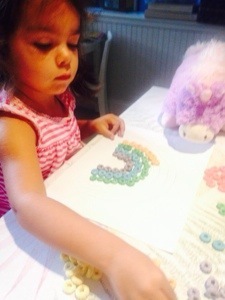 Gia thought her unicorn would like to help! 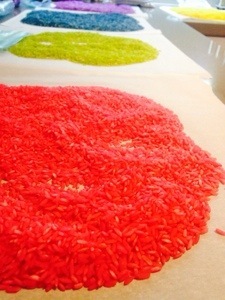 Waiting for the colorful rice to dry! 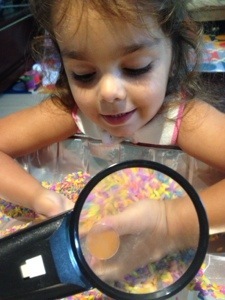 Gia decided to investigate further with the magnifying lens! Outside we could really get messy!